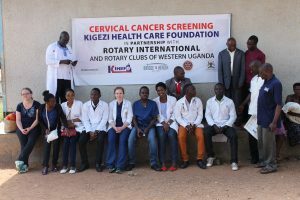 This follows a partnership cancer awareness campaign between Kigezi Healthcare Foundation, Bridge To Health and Rotary Club to organize cancer testing, sensitization and referrals to access proper medical facilities. 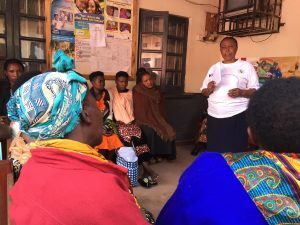 “The partnership includes holding of community days spreading across the famous Kigezi Region during which cancer testing, sensitization and referrals to hospitals will be done as well as enhancing public awareness about early diagnosis and treatment options for cancer,” Geoffrey Anguyo stressed. 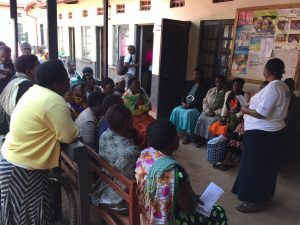 He noted that statistics indicate that the median age of a person diagnosed with breast cancer in Uganda is 45, cervical cancer 43 and prostate cancer 50. He also explained that only 45% of breast cancer patients and 18% of cervical cancer patients survive five years after diagnosis, which researchers attribute to late diagnosis due to ignorance and lack of technology. Mulago national referral Hospital has for a long time been the only hospital equipped with the necessary machinery and technology necessary for cancer screening. The initiative is aimed at supplementing the current cancer prognosis and treatment facilities in the country and also increasing the number of cases of Ugandans who regularly go for cancer testing.